As I walked into the MoDiP museum, one particular thing caught my eye. A beautifully crafted, semi-transparent bowl with flowing features and a blueish hue. I returned a few times to the museum, but I was always drawn to this bowl. The pattern of the bowl and its blue colour reminds me of water, with one exception: water is chaotic, unpredictable and irregular while the pattern of the bowl is consistent and systematic. Maybe, the reason I am drawn to it is that I relate to it, a highly organised and systematic person studying something as chaotic as art. It made me wonder if I could achieve the same flowing shapes in my work, in garments as the shapes in the bowl, so I decided to try to make a pattern that would make the fabric behave similarly. I wanted to capture the 3D effect of the bowl, so I started by drawing a distorted version of the flowing shapes of the bowl on fabric and sewing it together to achieve a 3D-like quality. 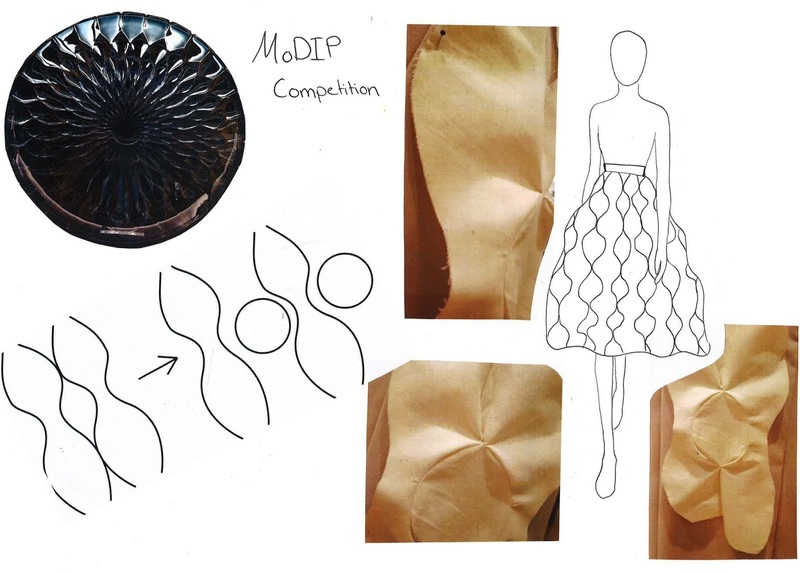 That led me to the idea of taking it further and making a big, expanded skirt out of stiff fabric that would hold the shapes when the pieces of the pattern have been sewn together. The skirt will be made from two main shapes, waives and circles. 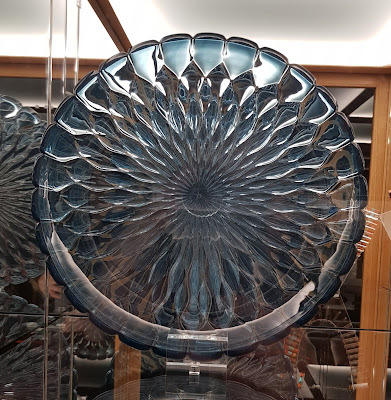 When the circles are sewn together with the waves, they form a 3D diamond shape, which strongly resembles the shape of the bowl - and the consistent shape of water. To make this pattern I am going to use Lectra. Lectra is a digital pattern cutting system. First I am going to draw style lines on a basic skirt block and work my way from there. 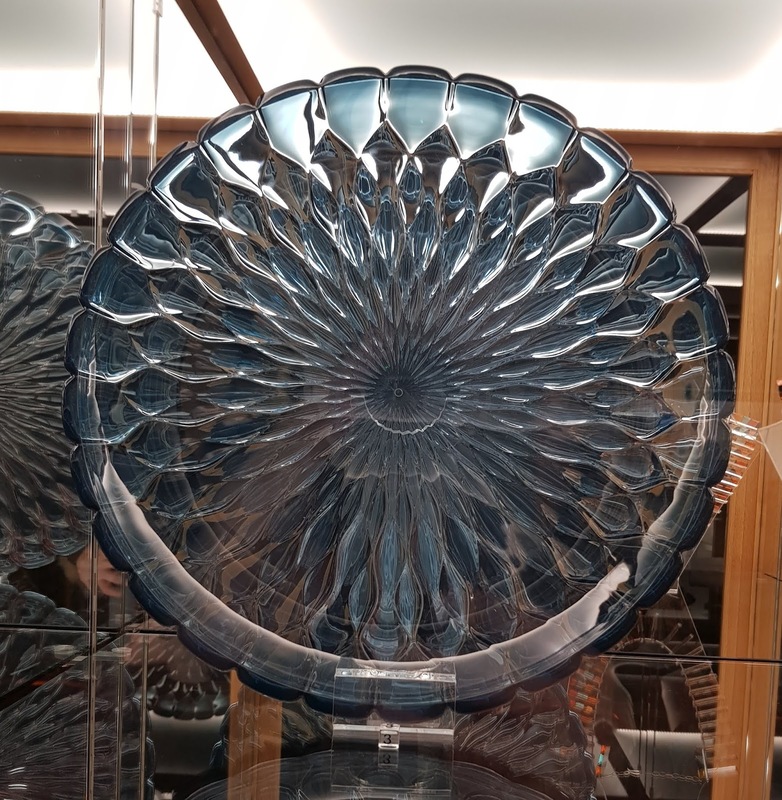 Another aspect of the bowl that fascinated me was how the light reflected off the shapes and curves, transferring the colours from dark blue to light blue and white. To capture this aspect, I want to make the wave patterns from dark blue fabric and the circles from a lighter blue.